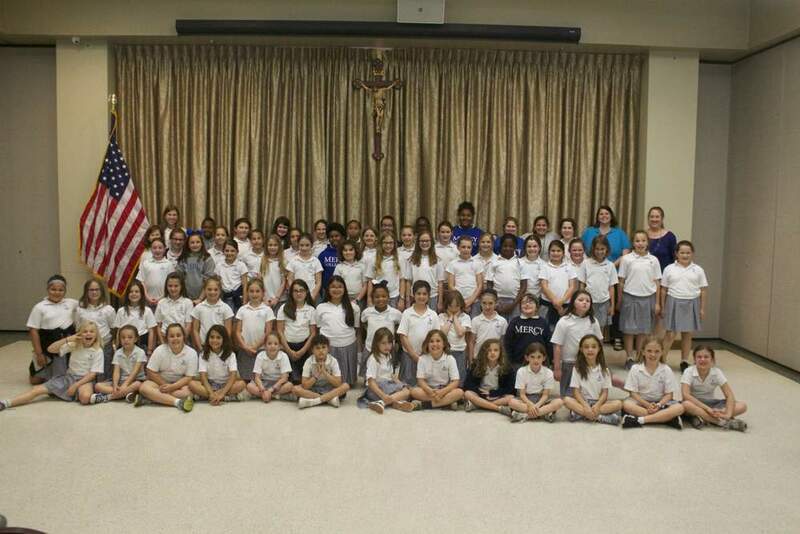 Serving others through the eyes of our Blessed Mother is the aspiration of Our Lady of Mercy School's Mary's Club members. The club was originally started by the Salesian Sisters in the 1970s as an extracurricular organization for young ladies to guide them in loving our Blessed Mother more deeply. Today, the club is in it's 8th year back on campus after it had faded out many years ago. Thanks to the efforts of OLOM School Religion Teacher, Sherri Montagnino, Mary's Club has livened up the campus once again welcoming girls in 2nd-8th grade to participate.